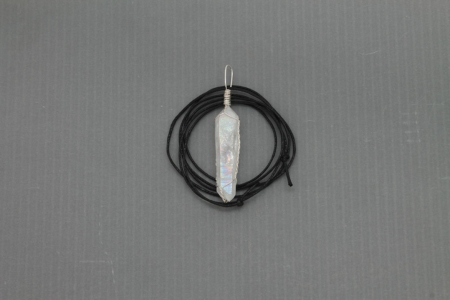 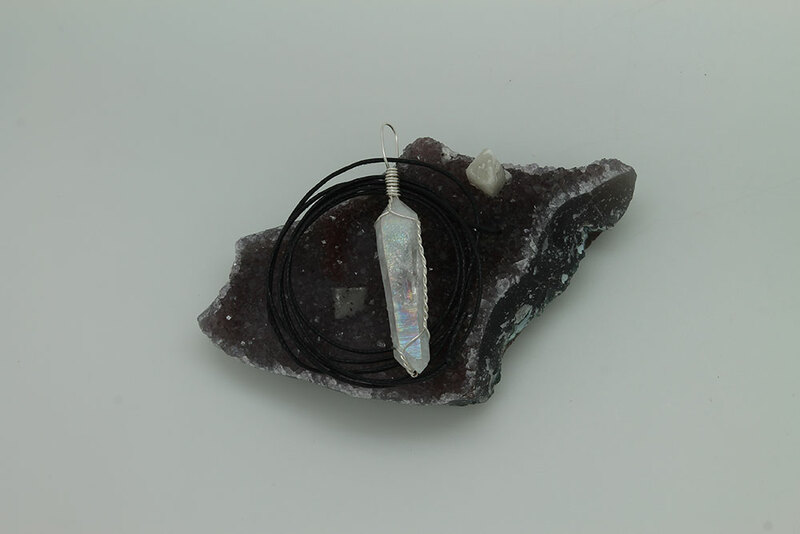 Angle Aura Quartz Pendant – Clear Quartz bonded with Platinum and Silver, sometimes Gold or other trace metals; exhibits a light blue, rainbow and silvery iridescence like the gossamer wings of angels. 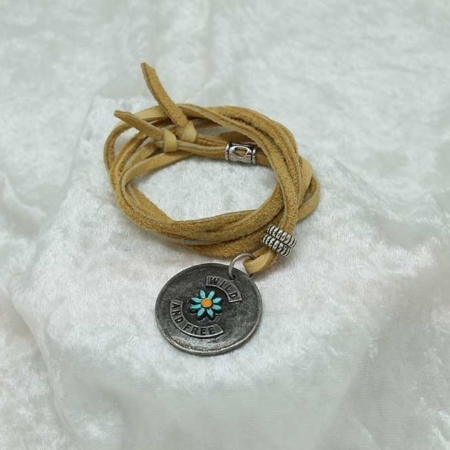 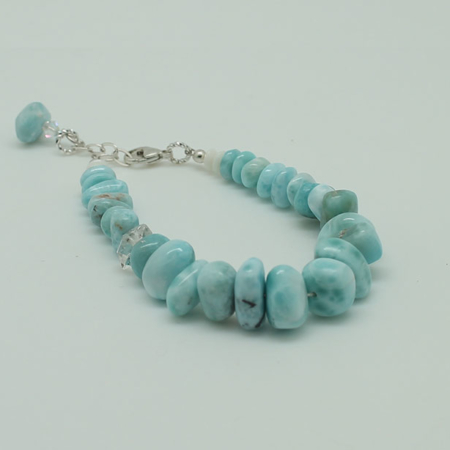 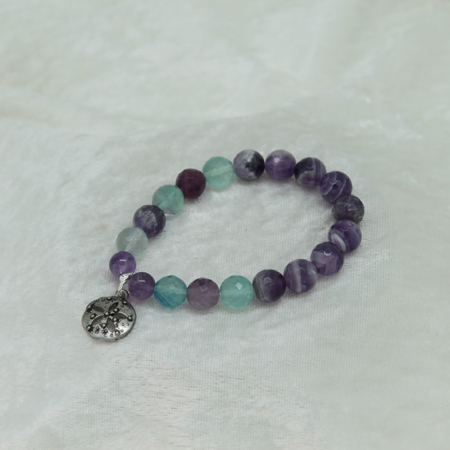 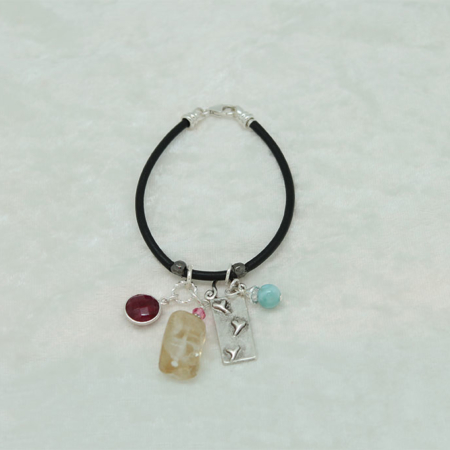 It carries a very loving and sweet energy, stimulating the spirit and elevating one’s mood. 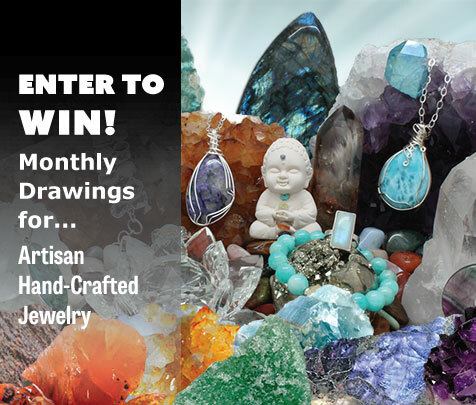 Meditating with this crystal allows one to enter a state of serenity and peace, purification and rest, and to go beyond the body to perceive and receive help from one’s angel guides. Angel Aura assists in remembering lessons from past incarnations and attuning to one’s spiritual purpose.